The laptop showed up today. I guess I did. I’m not sure I knew it was going to be that small, though. I opened it up to find that the screen was even smaller (still 10-inches diagonally, as expected), but that my hands rested comfortably on the 92%-of-full-size keyboard. The school day was over, but with the arrival of the new machine, I was anticipating that I’d be spending the next few days getting this machine set up. 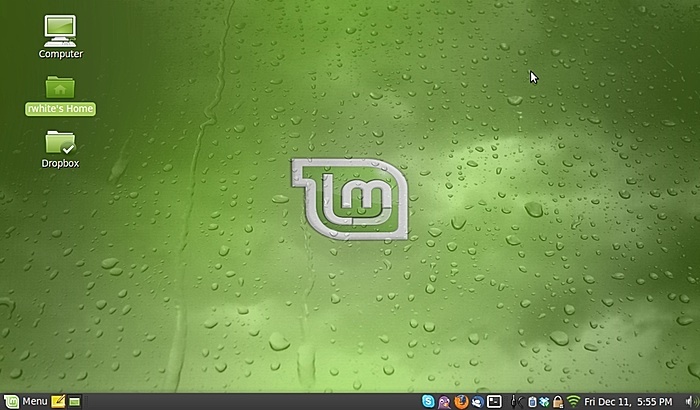 On this particular evening, though, the task was simple: get Linux Mint installed on the machine. If you’ve never installed Linux before, there are a number of ways to do it. The easiest by far is to take a CD for a particular distribution (Ubuntu, Knoppix, Linux Mint in my case), boot the machine using that CD, and then install from the CD. I’ve done that before on a number of different machines, and it’s a relatively straightforward process that involves (usually) answering a few questions so that the operating system can be configured to your needs. 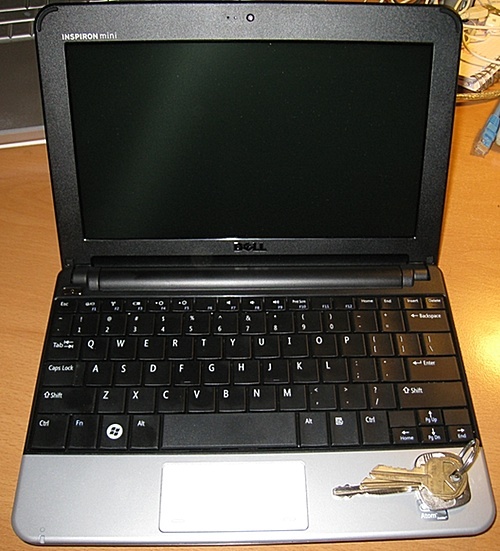 For the Dell 10V, the process is somewhat complicated by the fact that it doesn’t have a CD drive. Welcome to the future. Blue-Ray to the contrary, some machines are already losing their optical drives, which allow machines to be small & lighter, or to use valuable space for solid-state drives or batteries. But… how am I going to install the new operating system then? Download the Linux Mint 7 ISO. Insert your Linux Mint7 CD into a PC and boot from it. You’ll be running Linux Mint at this point off the CD. You can use the CD to install Linux Mint on the PC if you wish, but what we’re really interested in doing is creating a bootable USB flash drive for the laptop. Insert the USB flash drive into the computer running Linux Mint. IMPORTANT: Download a custom Linux Mint 7 syslinux.cfg file from pendrivelinux.com and copy it to the syslinux directory on your flash drive (overwriting the original). Eject the USB drive with Linux Mint on it. Insert the USB drive into the Dell Mini 10V while it’s turned off. Startup the 10V, and tap the F2 key a few times just as soon as the Dell logo appears in the startup process. This will get you into the BIOS and allow you to choose the USB drive as the startup disk. Use the right arrow key to select “Boot” in the top menu. Arrow down to select “USB Storage”. Use the F6 key to move “USB Storage” to the top of the boot list. Now, when the computer starts up, it’ll check the flash drive for a bootable device, which will allow your Linux Mint USB drive to start up the computer. F10 to Save & Exit the BIOS, and the computer should boot up off the flash drive. 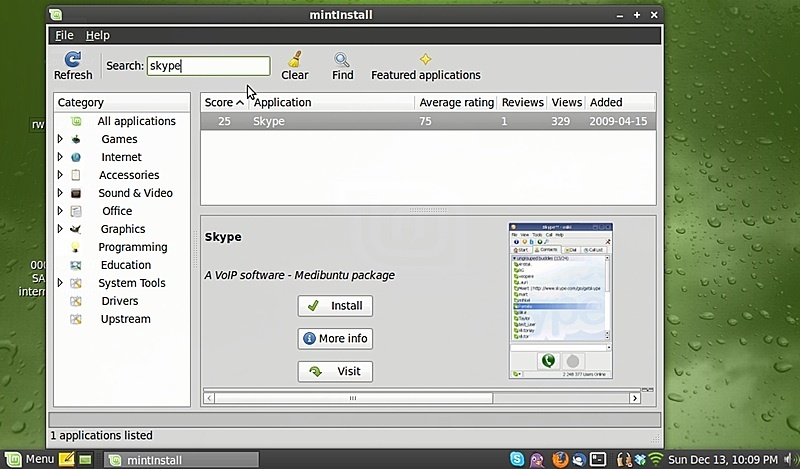 Follow the on-screen instructions to install Linux Mint 7 on your Dell Inspiron Mini 10V. Stay tuned for additional information: additional software installs, strategies, etc.